Revolución In Flight thanks to Qantas! The Dead Daisies Revolución is taking flight, with the album available in Sept and documentary in October with Qantas In Flight entertainment. Qantas passengers will be able to rock out on all their flights listening to our album and watching our documentary! 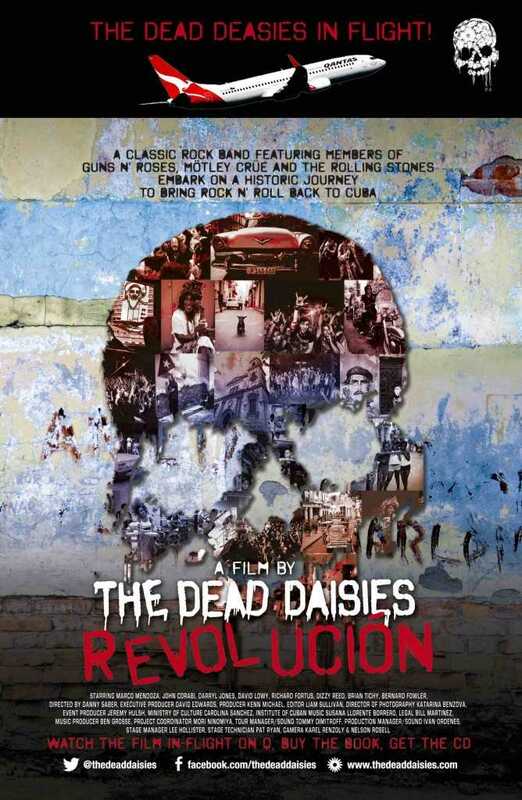 The documentary which was premiered world wide by Twitter last month (a first for Twitter), showcases the inspirational and cultural exchange that occurred between the Cuban government, the people of Cuba and The Dead Daisies in February, 2015. Our tour of Cuba was the first for an international band since the Obama administration loosened travel and trade restrictions with the island country. Watch the documentary here. Our album Revolución which is set to be released in Australia on Sept 18th has received much critical acclaim and can be pre-ordered here.